Protect, preserve and enrich porous masonry, pavers, and architectural natural stone with this environmentally safe, non-flammable transparent stain and sealer. Bring out the gleam and natural color of the pavers or stone and give it the wet look with clear paver stain formula, or enhance the color with one of our 6 transparent tones. Can be used as a one or two coat system, depending on the look and richness you desire. Can be applied to colored concrete, cultured stone, rock, slate etc. Over time, colored pavers tend to fade and lose their original hue. The transparent colored stain will embellish your faded pavers and bring back a beautiful hint of color. This masonry stain is quite durable, especially on vertical surfaces such as rock and brick walls or upright landscape stones. The more porous masonry products, such as pavers, will absorb more stain and will hold stain longer than smooth or polished concrete. 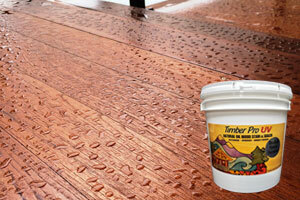 The stain can easily be reapplied to refresh the color and gleam. Apply with a stain brush, paint pad, or roller to clean, dry surface. The low-VOC formula has very little odor and is completely non-flammable and eco-friendly.